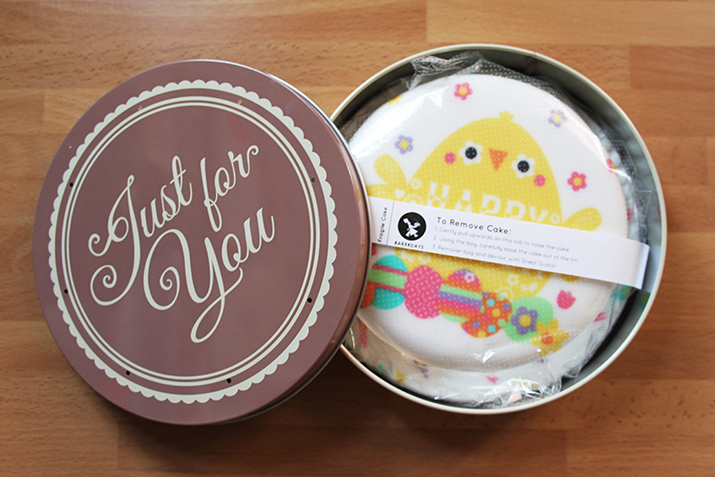 The best kind of delivery is the edible kind, and what better than an adorable cake that fits through the letterbox?! 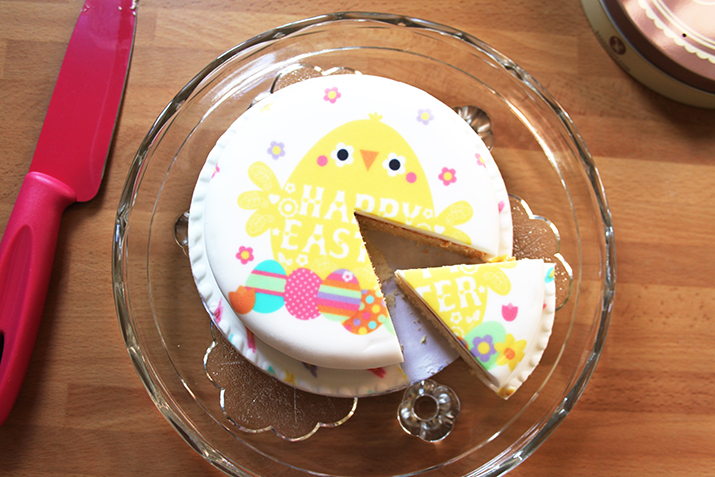 The lovely folk at Bakerdays sent me one of their delicious Easter Letterbox cakes to try out, and are also giving one of you lucky people the chance to win your own! More on the competition later, firstly let me tell you all about how yummy this little treat was (cake doesn’t last very long in our house…). Letterbox cakes are super cute 5 inch cakes, packaged in a lovely little presentation tin that, you guessed it, fit right through the letter box! There’s lots of designs to choose from, from Easter and special occasion cakes to personalised cakes, and you can even choose your favourite filling! I went for the classic Vanilla Sponge cake, which was an absolute dream, but you can also choose from Belgian chocolate chip and fruit cake. They also offer gluten, wheat and dairy free options so there’s something for everyone! Let me tell you, there’s nothing quite as exciting as getting cake delivered in the post, and now one of you can experience the sheer thrill (seriously) too! To win one of these tasty Letterbox cakes, take a look at the Bakerdays website, and comment below to tell me which design you’d like to win and why! Don’t forget to leave your email address so that I can contact you if you win. Extra entries if you share this post on Twitter and tag @whowhatclaire and @bakerdays!! Just let me know in your comment if you do. I’ll be choosing a winner at random on Friday 18th March and contacting them via email, so keep an eye on your inboxes! "ESTEE LAUDER MODERN MUSE EAU DE ROUGE | REVIEW"
I would pick the Thank you flowers cake to give to my mum because she looked after me when I broke my hip and she is my dads carer so she could do with a treat. I would like the starry eyed emoji cake. What cute cakes! I would choose the emoji kisses cake as a little treat for my boyfriend, he has helped me through a lot lately! Congrats Rebecca! You've won a Bakerdays Letterbox cake! I will drop you an email now to let you know how to claim your prize. No.1 Son cake for my son's 11th birthday in April. Wonderful prize! I would choose a vintage cake as its so pretty for my daughter who will be 20 in April. Lady Bird Birthday cake for my little girl's birthday! I would choose the Easter Daffodils cake to share with the family at Easter. I like the Easter chicks – one for all the family! I like the baby blue chick cake, so cute! I'd choose a new home cake for my mum who is moving soon. I like the Easter Bunny cake as its cute and all the family would like the look of it. 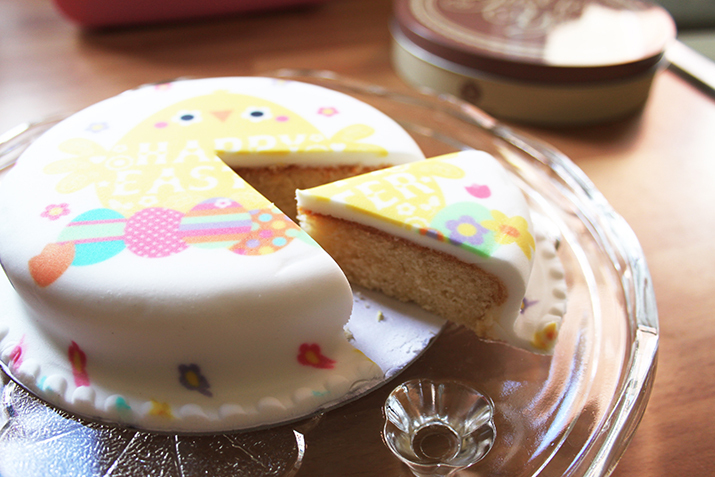 I`d go for the Funky Bunny Easter cake, looks cute! I would choose the Age is Just a Number cake for my Mum's 83rd birthday on the 28th March. She is always saying "age is just a number it's how young you feel" This would be perfect! I would love to win the Rainbow Easter Bunny cake for my little girl for Easter, She never manages to get through all the chocolate eggs she gets(don't worry they don't go to waste, one of the benefits of having a small child) but loves cake so I'm sure this would get devoured first, she could even share with her friends she's invited round for an Easter egg hunt. I'd most like to win the Wonder Mum Birthday Cake because my mum's birthday is coming up in 3 weeks time and it would make the perfect surprise!